If noticed lately there is a trend to marry outside the city of origin or also called as a wedding destination. Some brides ever share with us admit that they have a number of reasons, such as the concept could be more warm and intimate or a gorgeous location. But decided to hold a destination wedding was actually quite tricky you know! Today, we will give you 10 tips may help you decide if a destination wedding that is suitable for you. Does it approve by parents? One thing that cannot be denied about the marriage is parental consent. Yes indeed, the parents have a greater role in the wedding. When you and your partner decide to marry outside the city, you should discuss with the parents. This is because certainly will affect their desire to invite business associates or co-workers. So think about it first, brides! How many people would you invite? You also have to consider how many people you invite. Wedding venue in the tourist spots, of course, will be smaller than the wedding venue in a big city. If it turns out a friend whom would you invite more than the maximum capacity of the venue, maybe you should think again to hold a destination wedding. Does it fit with the budget? Although when holding the wedding out of town invite fewer guests, but it can be more expensive. That's because you have to pay your family accommodation, such as a place to stay there. In addition, you also commute hometown to the city where the wedding is held during the preparation. Is it the time right? When you decide to hold a wedding out of town, you're also thinking about the timing. Marriage at a tourist spot usually has an outdoor concept so that the rainy season is a nightmare for the bride. But actually it can be avoided by choosing a month when not the rainy season. Is it necessary to hire a local wedding planner? Sometimes there are some brides who want to take care of own wedding and did not want to hire the services of a wedding planner. But if you choose to do a destination wedding, we strongly recommend hiring a local wedding planner because they know more than us. Moreover, by hiring a wedding planner, of course your load becomes lighter. Are you going to hire local vendors? You also need to decide on a vendor who would you hire. Do you satisfy with the portfolio of local vendors? Are you going to bring the vendor of the town you came from, which of course will add to the cost? This matter should be discussed again. Not all guests will be familiar with the city that you choose to be your wedding destination. Therefore, you must provide a clear direction for them, such as what flight is available, or any hotel that is close to your wedding location. Usually some brides provide a special wedding website that contains all the information. What do you think? 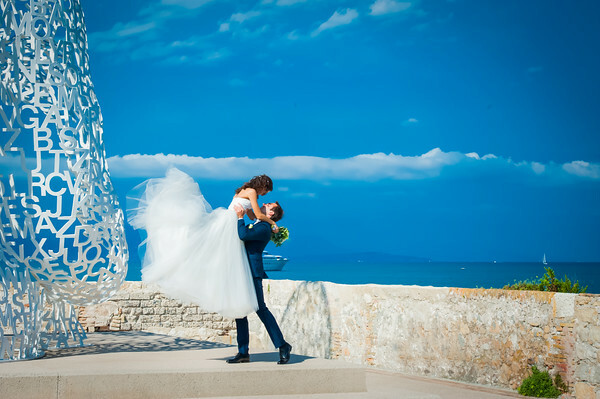 What is your opinion that should be considered before deciding to hold a destination wedding? Well, leave comments or seek for another story? Visit our website http://www.whitesapphireengagementrings1.com.